There's been a lot of buzz on oversized, chunky knit sweaters for winter, though I find them to be a bit overwhelming and often unflattering. 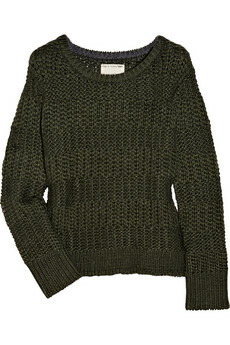 So a more streamlined chunky knit that will show the world you do actually have a waistline. Buy at Net-A-Porter for $190.